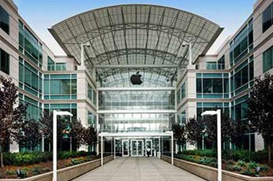 Situated in Santa Clara County, Cupertino is due west of San Jose. A small town of around 60,000 residents, Cupertino is famous the world over as the home to companies such as HP and Apple, and the heart of Silicon Valley. While there is no downtown as you would find in older, East Coast cities, Cupertino is centered around Cali Mill Plaza. It is comprised of many subdivisions, such as Monta Vista, Rancho and Seven Springs, with most neighborhoods less than 60 years old.